It’s been almost two years since the finale of Breaking Bad, and the epic television series remains present in the pop culture consciousness of many (aided by myriad merchandising and even a prequel series). The show’s dedication to impeccable writing, gasp-inducing sequences, and stunning visuals has lent itself to interpretations across many mediums. And now one of those mediums, video games, has added yet another tribute to the darkly comic drama, one that may even exceed previous efforts, at least in terms of visual sophistication. 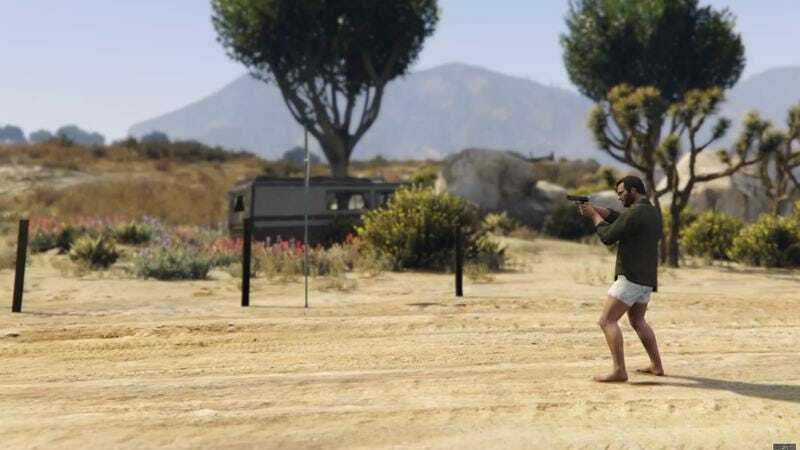 No, there hasn’t been a new video game created for Breaking Bad (not other than the one we had made, anyway), but enterprising modder Sachitha Harshana has used the editing tools from Grand Theft Auto V to recreate several iconic scenes from the series. It’s a testament to Harshana’s skills, and the editing capabilities of GTAV, that he is able to capture so many moments that hew pretty closely to the original televised versions. It does make one wonder how Breaking Bad would translate into a video game scenario, perhaps with a TellTale Games-like studio behind it. Regardless, it’s an impressive ode to a beloved television series.